Oil States’ FlexJoint technology provides long-term fatigue protection for high-pressure riser systems. The elastomer technology employed in Oil States’ FlexJoint products has been developed specifically for oil and gas production fluid exposure, and it has proven to be capable of long-term service in demanding conditions. Oil States also developed and offers FlexJoint HPHT systems, which incorporate engineered bellows and thermal barriers for high-pressure operation under extreme temperature conditions. 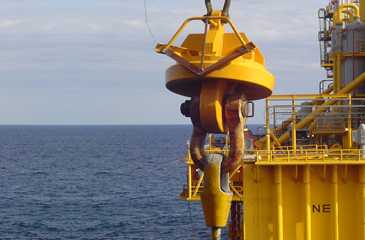 Industry-standard solution for fatigue-sensitive riser and mooring connections. 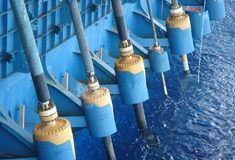 Proven reliability in deepwater riser applications since 1976. Currently operating in riser diameters from 4″ to 24″, design pressures up to 12,000 psi, riser tension up to 2.5 million lbf., flowline temperatures from -15 to +235F. 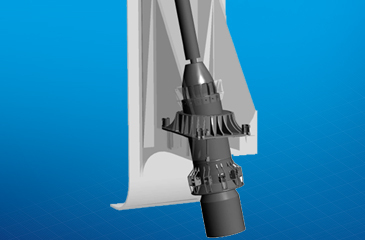 Structural support assembly that is designed for support of the riser end connection (FlexJoint™ connector or tapered stress joint). Structure provides support of the riser at the correct mean hang-off angles (vertical and azimuth) from the hull of the production vessel. Assembly is provided using steel plate materials that are suitable for welding to a production vessel hull, fully analyzed for life-of-field service, fabricated, inspected and fit-tested. This is the traditional style of receptacle that has demonstrated proven service in hundreds of SCR risers worldwide. Specialized, single-line SCR/SLWR pull-in connector system based on Oil States’ popular Barracuda flexible riser connector system. Permits SCR/SLWR pull-in by FPSO linear winch systems. Provides initial latching and riser tension support upon initial pull-in of riser without diver intervention. Provides for hydraulic or mechanical pre-load of connection for dynamic service without diver intervention. Fabricated metal transport frame for FlexJoint™ SCR/SLWR and tapered stress joint assemblies. Provides protection for storage and handling of FlexJoint™ and tapered stress joint assemblies in pipe yards, on supply boats and aboard riser installation vessels. 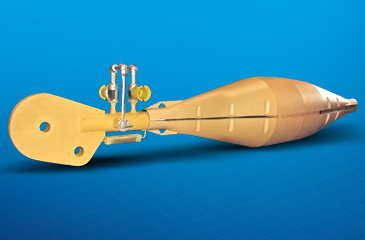 Protective cover for S-lay and reel-lay deployment of FlexJoint™ connector and tapered stress joint riser termination systems. 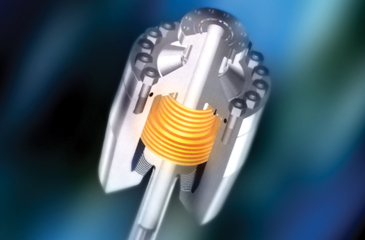 Provides tapered external profile to prevent hang-up while riser termination unit is passing over the riser-deployment stinger. Provides a temporary hang-off point from an empty riser basket during installation of SCR/SLWRs to permit the lift vessel to move from the side of the riser host vessel. Avoids the need for two lift vessels or a permanent hang-off point. 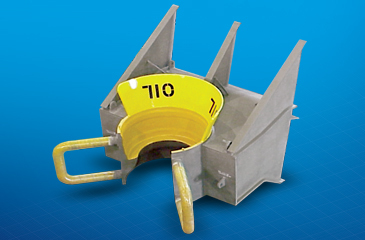 Custom designed to match the riser host vessel’s riser basket hang-off angles and dimensions. Designed, analyzed and load tested to maximum riser tensions. 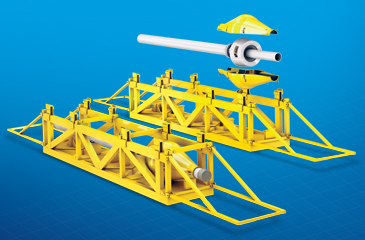 Essential tool for cross-haul installation of pre-laid SCR/SLWRs to floating production platforms.